If you’re bored or simply have a few hours of spare time handy, you could do much worse than log onto your laptop or mobile device and get involved in the world of online gaming. With a plethora of titles available through a number of various different sites, there’s something to take the fancy of even the hardest to please gamer. 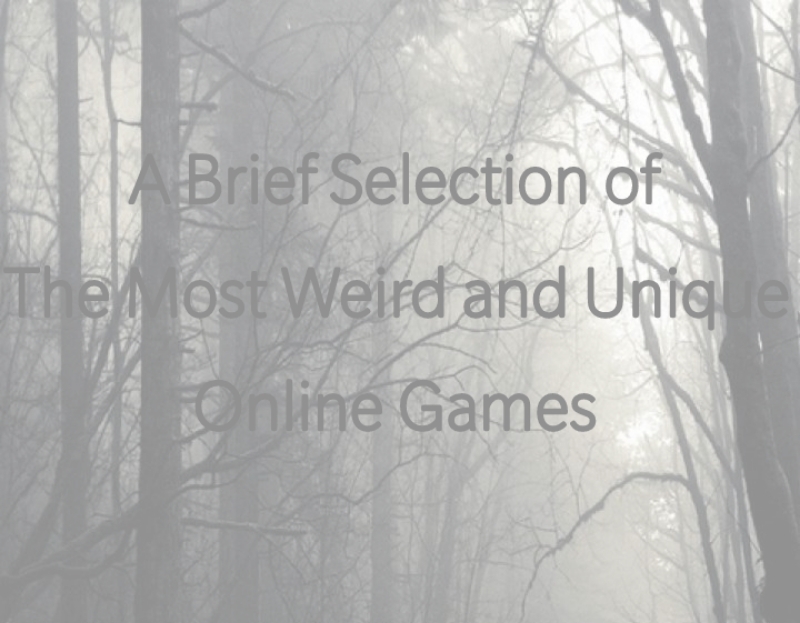 However, for those who enjoy a more surreal gaming experience, we’ve taken a look at some of the stranger games out there which are bound to leave you both confused and absorbed in equal measure. Deadly Premonition is essentially a part open-world detective story, part survival horror and the main character (FBI agent Francis Morgan) spends his time between dodging hordes of monsters and talking to an invisible friend about 1980’s cinema. Despite this, the narrative is compelling and the gameplay is surprisingly complex, meaning that seeing the game through to conclusion is an absolute must. Area 21 is an online video slot with a rather unusual but innovative blackjack free spin feature. Area 21 is a trippy game, according to these screenshots and the overall look and feel of the game is akin to that of a Hollywood alien invasion blockbuster. With a number of free spin features and bonuses, the game has a number of potentially lucrative payouts if you’re lucky enough to match five wild symbols. With a soundtrack reminiscent of that of The X-Files, this is an online casino experience you’re unlikely to ever forget. Set in a secluded Russian village, Pathologic’s morbid and stifling atmosphere goes surprisingly well with the exploration elements of the game and the result is one of the most surreal gaming experiences you’re ever likely to come across. If that wasn’t enough, the English translation of the Russian script turns the dialogue into a garbling mess, which, believe it or not, actually adds to the fun of the game.